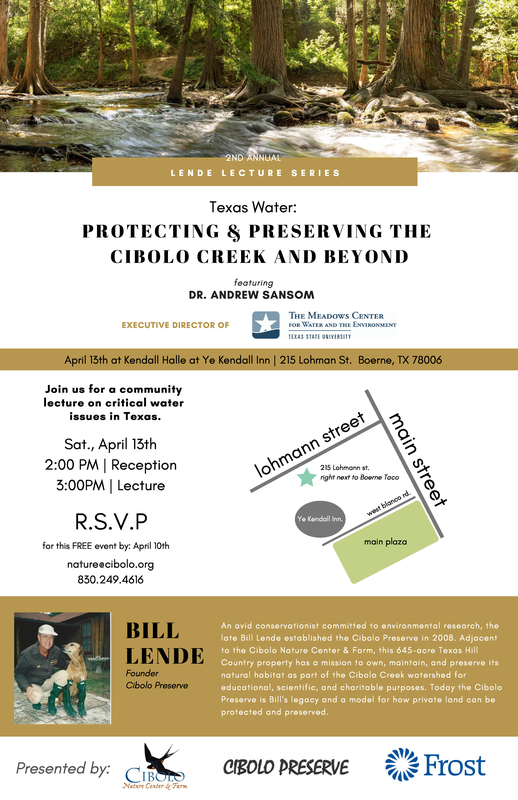 A community lecture on critical water issues in Texas. Cibolo Nature Center & Farm and the Cibolo Preserve invite you to learn about water conservation in the delicate Cibolo Creek and beyond. This second installment in the Lende Lecture Series will address critcal water issues and provide valuable insight on local water conservation and efficiency practices.